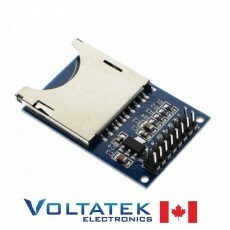 -This SD Card module can make your SD application more easier and simple. -It is easily interfaced as a peripheral to your arduino sensor shield module. 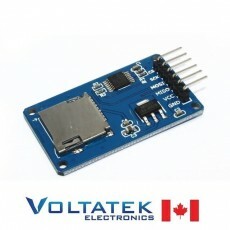 -Can be used with your arduino. -Can be used for MP3 Player, MCU/ARM system control. -All SD SPI pins output, MOSI, SCK, MISO and CS.